I’m in the process of setting up an OpenStack Essex installation on a small cluster of Ubuntu 12.04 servers using the Canonical-supplied and supported packages. 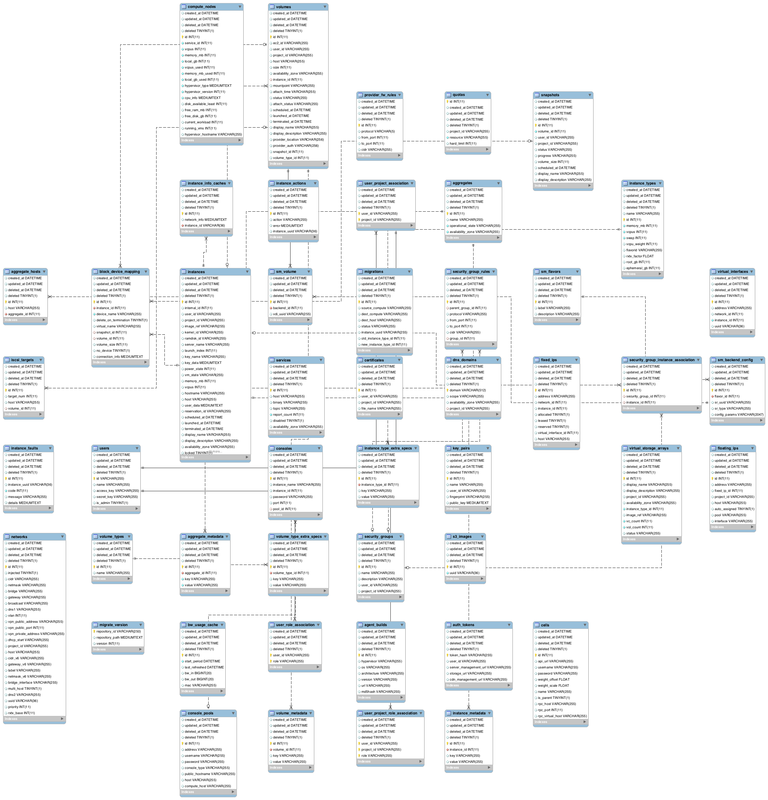 I innocently and unfortunately ended up with a state corruption issue causing nova-compute to crash on startup, and found it necessary to dive into the schema as a troubleshooting aid. 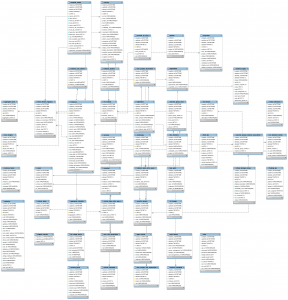 I used MySQL workbench to reverse-engineer the schema into an EER diagram as well as raw SQL. I’m sure others will find this useful as the OpenStack community slowly upgrades to Essex. Hope it helps!